In a move which surprised many, Asmodee announced last week that, although referring to it as a merger, they have essentially bought out Days of Wonder (DoW). So should we be worried about this conglomerate reducing the gaming diversity? Almost certainly not. 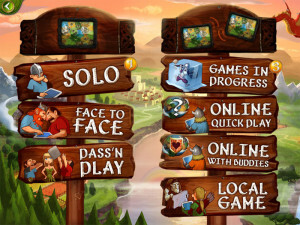 Asmodee, the publishers, are actually a part of the Asmodee group – who are also game distributors and have had a relationship with DoW’ since its inception in 2002. It’s hoped that the acquisition will strengthen this partnership rather than absorb it. Essentially Asmodee will benefit from the US market which DoW enjoys. Should we be concerned about our beloved titles being discontinued or, at least not being supported with expansions or later editions? Again almost certainly not. It is the stated intention of the group to maintain the two separate publishing and development houses but merely operate under the single umbrella. DoW have several strong titles – Ticket to Ride, Small World and Memoir 44 to name 3 titles spawning a series of games. This is part of what made DoW a desirable acquisition and there would be no logical reason to not capitalise on this investment. Generally the feeling is very positive regarding this merger with the only area for concern being that the DoW founders Kaufmann and Hautemont will only stay with DoW for an unspecified transition period. Whilst the company was built on their ethos of providing family friendly gaming of a premium quality at a reasonable price, once again there is no reason to think this should change. 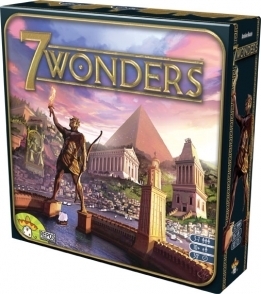 Asmodee have a track record in providing much the same thing with titles like 7 Wonders and Dixit, just with a stronger European foothold. It is more than likely that we consumers will notice very little change, if any at all.